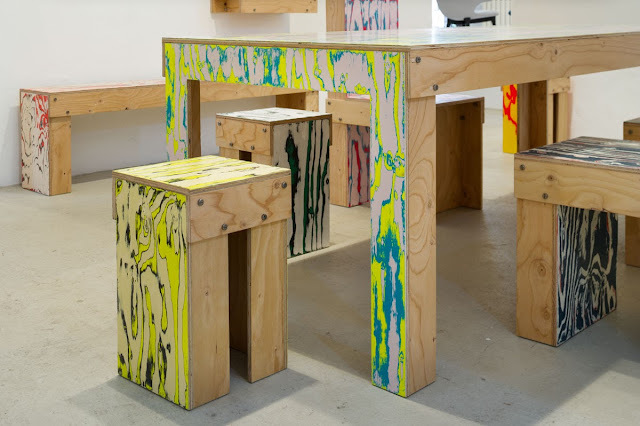 Usually wood grain is enhance by oiling and polishing the timber surface, but Jo Nagasaka, the cutting edge designer at Schemata Architects in Tokyo, Japan, has taken the traditional Japanese craft of Udukuri and applied it to simple furniture using brilliant colour. According to Nagasaka, udukuri is a traditional wood craft technique of polishing and scraping the wood surface with a brush made of grass to reveal a coarse grain pattern. For his ColoRing collection of furniture, Nagasaka used the traditional wood craft technique then painted them in vivid colour three times. Who knew natural wood grain could could look so pop? 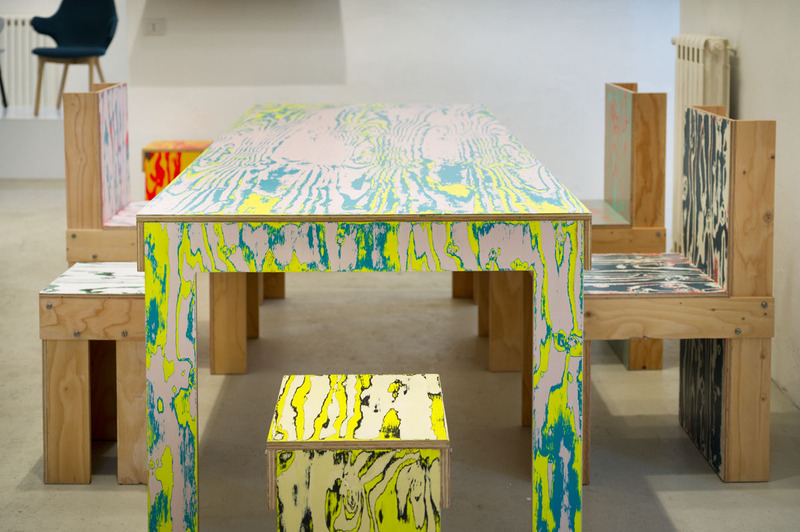 ColoRing furniture by Jo Nagasaka, Schemata Architects in Tokyo, schemata.jp. Photography by Takumi Ota.